The Renaissance Centre/Mount Saint Mary’s site is for sale again. 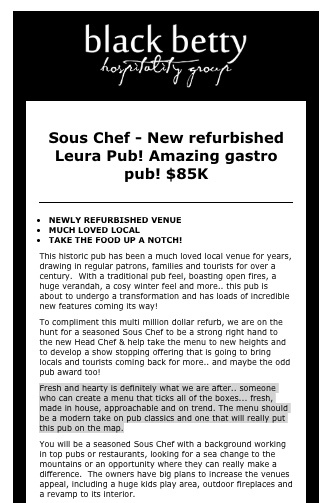 Perfect if you have a lazy $7m and willingness to take on a difficult site which hasn’t been well maintained. The advert mentions the previous development approval for 120+ apartments. The 4 acre site is the largest development site left within the central Katoomba area. 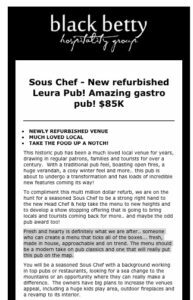 Following the sale by the Blackburn family mooted in the Gazette last year, the Alex is now advertising for hospitality staff ahead of a multi-million dollar renovation. Other details likely to interest patrons are plans for a kids play area, outdoor fireplaces and a complete interior refurbishment. The Blue Mountains Artist Network have let us know they will again be running arts trails in 2016. The first will be for the lower mountains from Lapstone – Linden on the weekend of 16 – 17 April. Woodford – Mt. Victoria 22-23 October, so put them in your diary. These events give you the opportunity to meet artists in their studios, where they create their work. It is a time to see first-hand the environment, tools and materials needed to make works of art. The trail has mosaic artists, photographers, painters, printmakers, ceramic artists and sculptors. It is a chance to purchase work, talk to the artists and find out what the art is about, or simply just take in the atmosphere. Many of the artists will do commission pieces for you, so if you like their style, tell them your ideas and they may be able to create it for you. The mountains have many talented artists and this is an excellent way for artists and art lovers to meet in the most personal of settings. So explore the beautiful Blue Mountains in a whole new way. Follow the trail of creativity and be inspired. You can plan your weekend by going to www.artstrail.org.au. Here you can read about the artists and use the online map to guide you. Our local community of artists deserves your support as they contribute substantially to our desirability as a tourist destination, as well as providing beauty and cultural depth to ur communities. The NBN has announced timing for building the NBN in the upper mountains. Construction in mountains towns Lawson, Bullaburra, Wentworth Falls, Leura, Katoomba and Medlow Bath begins between now and February, with the ability to order services likely from about the middle of 2016 (their expected ‘ready for service’ dates are Q2-2016 and Q3-2016). The work will bring Fibre to the Node technology to 14600 premises. FTTN is the scaled back network the Coalition developed, which uses high performance fibre optic cable to connect street side cabinets to the main NBN backbone network. The existing copper wires that connect your current telephone and broadband services will then be plugged into the street side cabinets. This mix of technologies allows up to 100Mbps network link speed, although in premises further from the cabinets this declines to speeds as low as 25Mbps. While this is slower than the 100Mbps – 1000Mbps a fibre link to every premises would offer, it is still a substantial speed upgrade for mountains residents who have been limited to ADSL2+ speeds at best (24Mbps in ideal conditions but typically much lower). The copper based last-mile link will also offer a faster build time, and limit the amount of civil construction work. Further up the mountain, Blackheath and Mt Vic will see construction commence in Q2 2016 with services ready early 2017. Disappointingly, if you are lower than Lawson things aren’t so rosy. 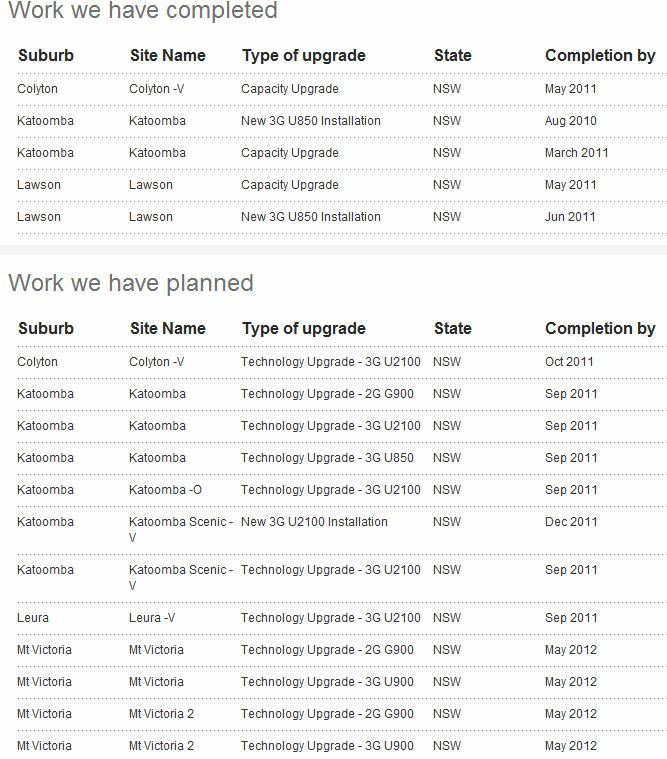 The NBN will not commence building in Lapstone, Glenbrook, Blaxland, Warrimoo, Valley Heights, Springwood, Faulconbridge, Linden, Woodford and Hazelbrook plus Winmalee, Yellow Rock, Mount Riverview, Hawkesbury Heights and Leonay until the second half of 2017, with services not expected to be available until 2018. The one bright patch is that some of these sites will get fibre to the premises. 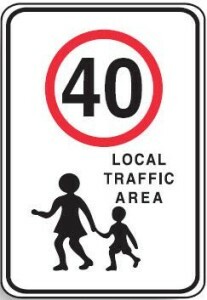 Transport NSW has announced speed limits in Leura Mall and surrounding streets will be reduced from 50km/h to 40km/h. The reduced speed makes sense considering the large number of pedestrians, often seemingly oblivious of car traffic. The new limits will take effect when signposted over the next fortnight. It’s Leura central this week, as Leura Spires commercial building is up for sale. The residential units have been less than inspiring, with initial investors finding it a long wait to get more than their $330,000 off the plan investment price. It will be interesting to see how the commercial side fairs. The vendor claims $245k p.a. income, but some of the tenants look to be less than commercial (mountains bridge club?). The rent suggests a price around $5 million-ish if the tenants are on standard commercial leases. KLonline bids $1! If you want to bid more, go here. The big surprise is the clocks show the same time. Did they stop at 8:40 together? Certainly, they have shown the wrong time 90% of the time the building has existed. With stories in this week’s Gazette about the planned station canopy, it seems community resistance is hardening. 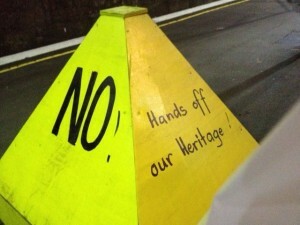 Disgruntled locals have made their opinions clear on the hoarding around the yellow pylon footings (see pic). And local member Rosa Sage braved icy winds Thursday morning for a bit of face to face opinion gathering with her constituents. It will be a good test of how effective Rosa’s voice can be. 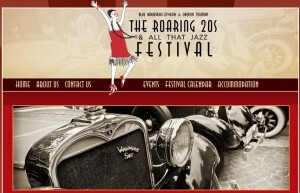 It’s time to celebrate the 1920s again in Leura with the annual Roaring 20s festival. 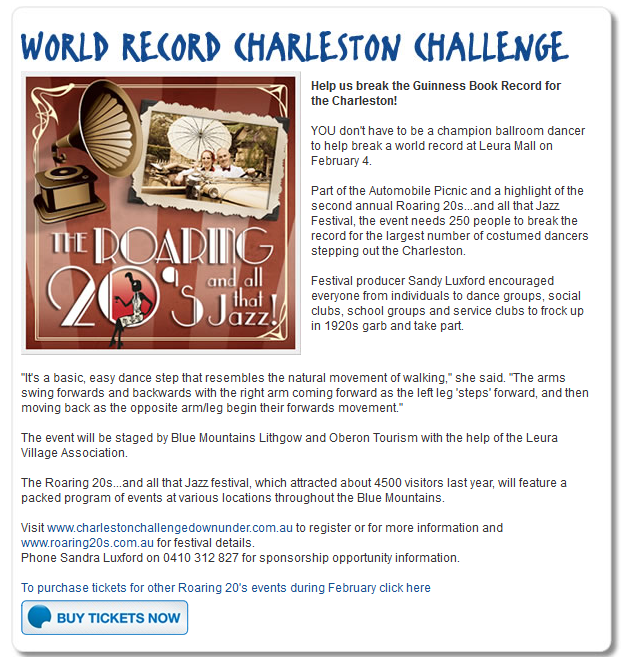 Highlights are the world record Charleston dance, where you can become a Guiness World Record holder, the vintage car rally and plenty of opportunities for fine local dining and entertainment. The Gazette published a useful list of services and assistance available from Council and other levels of government/NGOs. Best wishes to all those affected. 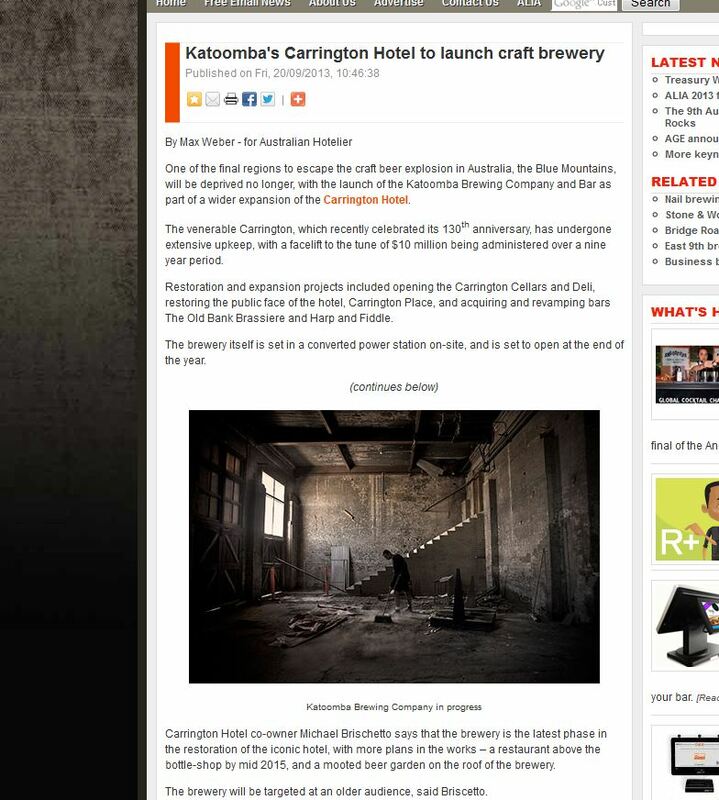 Industry publication The Shout reports the team at the Carrington Hotel in Katoomba are readying a new boutique brewery. With three beers initially planned, Three Sisters Pale Ale, Chimney sweep Porter and Great White Fleet American Pale Ale, the brewery will be housed in the former power plant near the Cellars/Deli. The new venture will cap off a decade of renovations that have transformed the hotel. The 2013 federal election repeated results of 2010 to show ALP candidate Susan Templeman comprehensively winning the mid & upper mountains polling, but losing to the weight of numbers in north Western Sydney and some of the towns east of Springwood. Two party preferred results for the upper mountains polling place are in the table below. The Blue Mountains Renewable Energy Co-op will officially launch with a presentation and discussion MC’s by retired Federal Court judge Murray Wilcox AO QC. 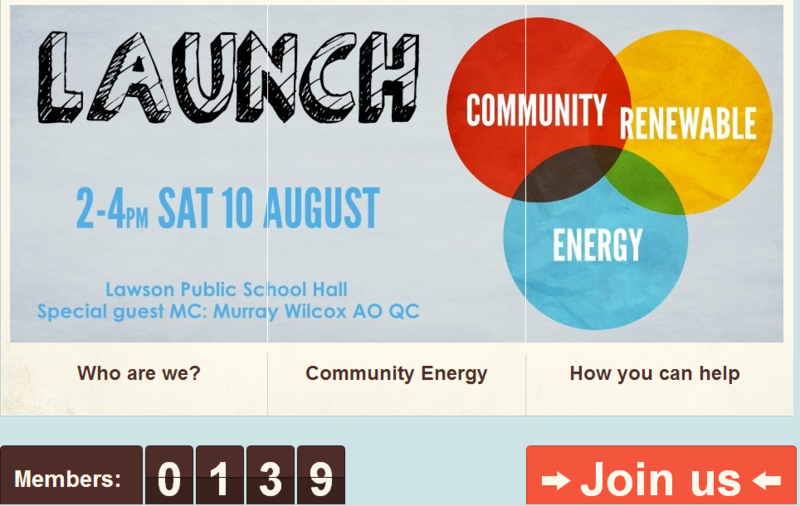 The event, to be held at Lawson Public School Hall at 2-4pm on August 10 will provide a forum for interested community members to find out about renewable energy projects in the mountains. BM Renew is a volunteer group of Blue Mountains people working together to create community-owned renewable energy projects. Draft new train timetables released by Fairfax show the state government expect to cut peak hour services for upper mountains commuters and drastically overcrowd them by adding stops across western Sydney. The leaked draft shows the current peak hour services to the city leaving at 5:26am, 5:41am, 5:59am, 6:09am, 6:40am and 6:57am from Katoomba will be replaced by just three services 5:26am, 6:26am and 6:56am and all stop at Emu Plains, Penrith, St Mary’s, Blacktown, Seven Hills, Westmead, Parramatta, Granville, Clyde, Auburn, Lidcombe, Homebush and Strathfield. None will stop at Redfern. The return journey also suffers sharp cuts, with the 5:06pm, 5:23pm, 5:37pm, 5:55pm, 6:08pmand 6:36pm replaced by just three services at 5:18pm, 5:52pm and 6:26pm. All services stop repeatedly in Western Sydney at Emu Plains, Penrith, St Mary’s, Blacktown, Seven Hills, Westmead, Parramatta, Granville, Clyde, Auburn, Lidcombe, Homebush and Strathfield. None will stop at Redfern. 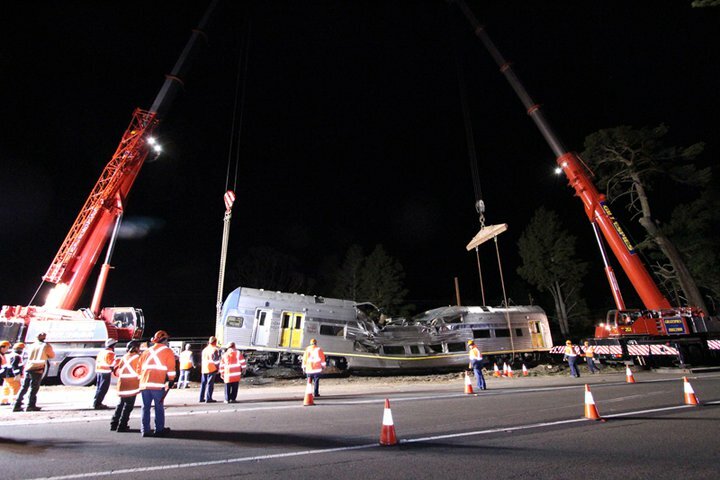 To compound the cuts, the 5:52pm service will make limited stops in the mountains, meaning residents of Blackheath, Medlow Bath, Leura, Bullaburra, Lawson, Hazelbrook, Woodford, Linden and Faulconbridge will have just a single train between 5pm and 6:20pm. Should the timetable go ahead, it will be interesting to see who is left voting for Roza Sage next election. If you look forward to the screech of the steam whistle and the smell of the coal smoke each May when Mt Vic runs the Great Train Weekend, you will be disappointed to hear the 2013 event has been cancelled. The Lithgow Mercury reports organisers struggled to get access to a steam engine at an acceptable cost, forcing the very popular event to be scrapped. Hopefully the 2014 Great Train Weekend will return bigger and better than ever. Upper mountains residents forced to trek to Lithgow or Winmalee for basics since Kmart closed will be pleased to hear that Wesfarmers is planning a Target Country variety store in Katoomba Fair. The site, in Pioneer Place previously occupied by Franklins, has been owned by the Coles group for many years, and was used to deliver Lay-by items last Christmas for Kmart shoppers following that stores closure. With no external building work required, the new shop could be open later this year. Meanwhile, work continues on the old Coles/Kmart site, now owned by Woolworths and subject to redevelopment work to add parking and floorspace for the new Woolworths Supermarket and BigW stores. The battle between the retail duopoly saw front page news last month with claims of dirty tricks as each group sought control of the other’s real estate. Work on the Woolworths/BigW site is expected to finish in 2014, dramatically increasing retail space in the region. The Lithgow Mercury is reporting that last year’s garden festival raised over $100,000 with donations to Blue Mountains and District Anzac Memorial Hospital at KAtoomba and The Blue Mountains Health Trust and Cancer Help. What a fantastic effort by a team of hard working volunteers. This year’s show will be on October 5 to 13. Whovians take note, this year’s Ironfest theme revolves around the Galifreyan time lord. The festival is a fun day out for fans of medieval re-enactment, historical war gamers, competitive jousters and the thousands of visitors decked out in their finest fancy dress. Press release below. More info. Medieval hordes meet Dr Who at Ironfest on April 20 & 21. Last year celebrated the end of the Mayan calendar, but we’re all still here so Ironfest will re-live another year to embrace the theme Time Travel on April 20 and 21. Now in its 13th year, the annual “festival with a metal edge” was the brainchild of artist/sculptor Macgregor Ross, who first held it in 2000 to celebrate the 100 year anniversary of the birth of steel in Australia at Lithgow. About 400 people turned up. Today Ironfest attracts more than 12,000 people and is recognised as an event of state significance supported by Blue Mountains Lithgow & Oberon Tourism, Destination NSW, Lithgow City Council, Delta Electricity and a host of smaller supporters. 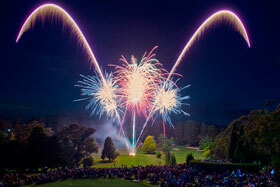 Wenty golf course is offering free fireworks again for 2012. A huge hit in previous years, the club is asking for a gold coin donation, a small price for one of the best New Year’s Eve events in the mountains. As in past years, guests are welcome to bring a picnic and soft drinks, and alcoholic drinks will be available at club prices. The evening gets underway at 7pm, with fireworks at 9:30. The club also has a dinner package and VIP seating on the club house deck, ph: 4757 1202. If weather is bad, the fireworks will be postponed to Australia Day. Following on from previous successes, the Leura Shakespeare Festival returns to the Everglades in January 2013. This time, a trio of plays around a theme of shipwrecks, The Comedy of Errors, The Tempest and Twelfth Night. Details and tickets at Sport for Jove. Katoomba Public P & C and Connect Family Services are hosting a Community Christmas fair this Sunday 10-2pm (entry on Waratah St Katoomba). The Fair is focusing on community and trying to keep the dollars in the mountains as well as save people a trip to Penrith to do their Christmas shopping. There will be live music, food and a big FREE jumping castle for the kids (up to 12 years)as well as other kids activities so parents can shop whilst the kids play – yay !! Stall holders will be selling local and handmade products so some fabulous and unique gifts will be on sale and the P & C will be selling pre-loved clothes, books and bric-a-brac. Come along and support local artisans and some great Community groups including RFS, Men’s Shed and Women’s Health Centre. As always, the best broadband deals are published on Whirlpool, just be cautious as many providers offer substantially different plans where they have their own ADSL infrastructure, versus where they buy it off-net from Telstra. Make sure the plan you want is available at your location. Blue Mountains Roller Derby’s first home bout is against HARD at the Katoomba sports and aquatic centre on Saturday the 15th September. Tickets are available at the door for $10 (kids 12 and under free). Snacks and drinks are available, and over-18s who get there early can get trackside in the ‘suicide seats’. With Councill elections due this weekend, the SMH highlights the party of three of the candidates running in Ward 1. The article includes detail of the Australia First Party leader Jim Saleam’s past, and links to far right organisations. The NSW Electoral Commission maintains a list of all candidates in Ward One. The Katoomba FootLight Festival – Promoting Sustainable Living. It’s all about a fun, family day out, while discovering new ways to reduce our carbon footprint. Stalls selling all manner of re-cycled, up-cycled, pre-loved, organic, fair trade, locally made and locally grown products. Entertainment including Snez, King Parrot Samba, Paco Peasants, the Fortunes, Crowd Around, Honey Stompers, Vocal Locals, Theresa West and David Tobin, Pete Maw, Little Sings and the Blue Mountains Roller Derby. The FootLight Festival is an annual event run by Katoomba North Public School P&C. 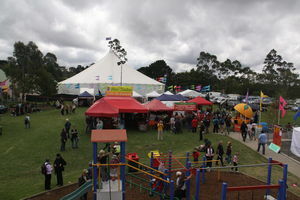 It will be held on Saturday 8th September 2012 from 12 midday to 6.00pm at Katoomba North Public School. 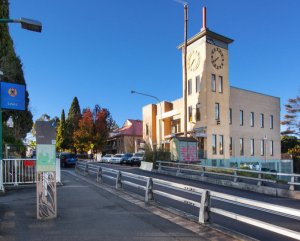 Entrances to the school are in Barton Street and Mistral Street, Katoomba North. Stalls and workshops on climate change, sustainable dream homes, solar chandeliers, solar cooking, making mosaics from recycled materials, slow food cooking, re-cycling bikes, foot powered wood turning, growing fruit and nut trees and permaculture blitzing. Great food, including vego, vegan and organic. Great coffee and chai. The ex-Burmah fuels site has plans before council to renovate and expand, including a adjoining Subway restaurant with indoor seating. Comment submissions to the council close 5th July. The O’Farrle government has announced a new daily train service between Bathurst and Central. The morning run departs Bathurst at 5.40am and arrives at Central at 9.25am. The return service will leave Sydney at 5.55pm and arrive in Bathurst at 9.30pm. The express will stop at Katoomba, Mt Vic and Lithgow. The Lithgow Mercury is calling the service the Bathurst Bullet, which is hardly the Fish and the Chips (see last question). John Merriman, the BMCC Local Studies librarian has uploaded a fantastic set of colour photos of mountains streetscapes from 1983. Highlights include Golden Fleece petrol stations (48c per litre), Fosseys, Toranas and Kingswood’s a plenty. Today’s post is a round up of local development applications for proposed building works. First up, an application for retail development in Wenty. The application for six new shops plus residential unit upstairs boasts that it will bring Wenty up to speed with the other local towns that have seen recent development. Not sure Lawson, Leura and Katoomba would agree the developments have been desirable. At least it appears to be reasonably sensitive to the built environment. Nobody will be accusing the developers of the approved units at the GWH off ramp for Leura of sensitivity to the local environment. More like an attempt to outdo the Spires in hideous presentation. Apparently, the council gave in after they were advised the development application was complying and they would lose in the Land and Environment Court if they opposed it. At least there is some schadenfreud that the absentee landlords in the Spires who paid $360,000 off the plan a decade ago will have neighbours who paid $260,000. 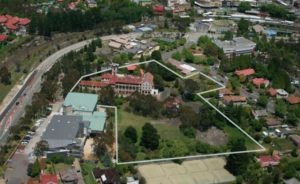 And the largest development in the area, a sixty unit residential apartments, plus retail, originally approved in 2007 looks set to go ahead in Goldsmith Place Katoomba. 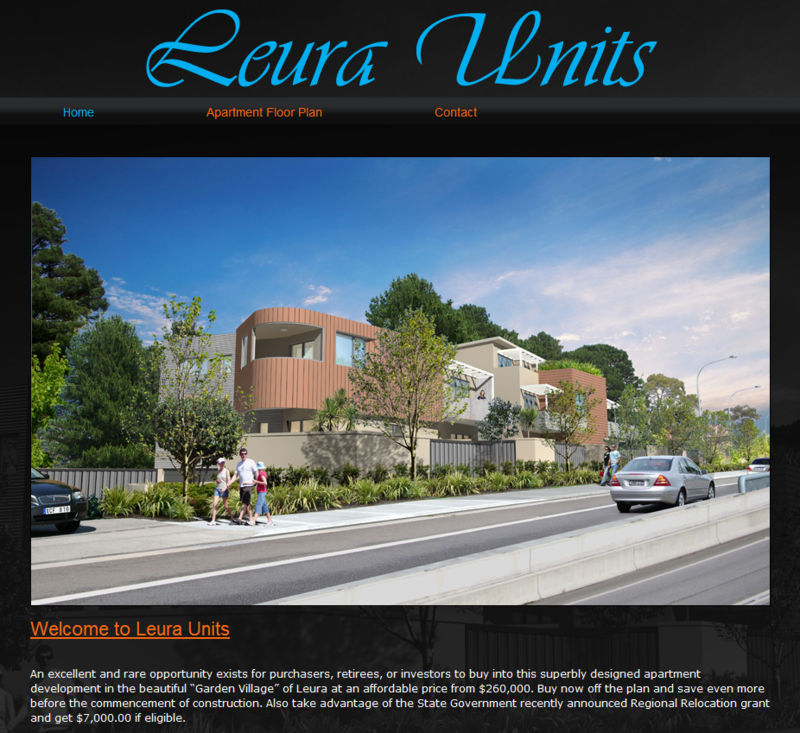 It says something about how bad the similar scale Leura apartment developments are that this block starts to look reasonable. The three building plan is six stories tall at the tallest point, but owing to the below grade site it will appear no more than three stories tall. Mind you, if work doesn’t start by May they will be back to the drawing board as consent will lapse. Varuna, the Katoomba writer’s retreat, is hosting inaugural Dr Eric Dark Memorial Dinner, held to honour the legacy of Dr Eric Dark and celebrate “Doctors Who …” create, innovate, advocate and collaborate for the “health of the nation”. Dr Dark and his wife, literary author Eleanor Dark, were the original owners of Varuna, prior to its establishment as a writer’s centre with the cooperation of their son, Mick. The dinner will include the inaugural Dr Eric Dark Memorial Lecture by Associate Professor Grant Blashki as well as a Q&A panel featuring well known medicos such as Dr Arthur Chesterfield-Evans with a literary bent, allong with Dr Tanveer Ahmed: psychiatrist, author and opinion columnist for the Sydney Morning Herald acting as MC for the night. The dinner is on Saturday 10th March at the Fairmont. 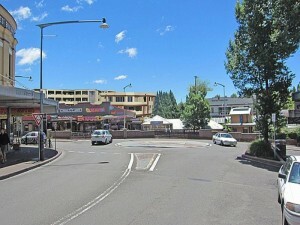 The Casino, Liquor, Gaming and Control Authority has ruled against ALDI’s application for a liquor licence in Katoomba. This news follows recent approvals for Woolworths Liquor in Leura and the Katoomba Dan Murphy’s. 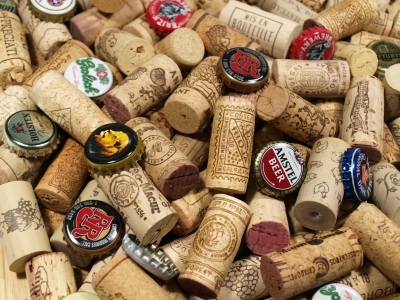 “”I don’t know if there are areas that have too many bottle shops but certainly there are areas that have enough,” Mr Sidoti told the Herald. He said two bottle shop licences had been granted in Katoomba in the past two years, which the authority had ”agonised over”. Those behind Cole’s mooted First Choice Liquor in Katoomba must be pondering their next step. More industry comment at The Shout, reporting that ALDI sees their offer of limited range and non-refrigerated products as minimising immediate consumption and the associated harm. The VisitBlueMountains organised Roaring 20s Festival has come up with a novel way of promoting the event and the region – a world record attept for the most massed Charleston dancers in costume. The current record is 250, so they rate their chances as good for taking the title at the February 4th event in Leura Mall. Everyone is invited to participate, although to be counted in the world record numbers you will need to be in 1920s attire. Details here. In recent years, Father Christmas has only made sporadic appearances in the upper mountains before the night he traditionally turns up. This year, Rotary has convinced the big guy (or one of his helpers?) to make some regular appearances on Mondays, Wednesdays and Fridays for a picture at the Leura newsagency. You will spot him between 10:30am and noon or 2:30pm and 4:30pm. Photos are $15 with proceeds helping local causes. Mr Claus will also be making an appearance at Leura School Markets this Sunday, 4th Dec, at 11:30am. This is the last market of the year, so locals and visitors are invited to visit the 50+ stalls to pick up a unique gift for Christmas. The annual BMETS Book Sale is coming up Saturday, October 29 & Sunday, October 30, at the CWA Hall in Leura. BMETS advise they have over 10,000 titles, with additional stock being added all weekend. Most books are $1, and the range is ordered by type and subject, so it is possible to find something in all those books. The blossoms are coming out on the cherry trees and the weather is tending to warm, and all around the mountains people are out in the garden. 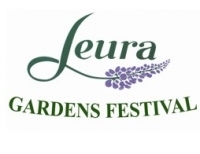 For Leura though, spring means it is almost time for the Garden Festival (Oct 1-9) raising money for the local hospital, and the Village Fair (Oct 8 & 9) which sees the main street turn into a throng of stalls and visitors. Got an Everglades statue at the bottom of the garden? The Everglades seem to have misplaced three bronze statues some decades ago. The works in question were nicked 30 years ago in the early 1980s, and while rumours of their locations have surfaced from time to time, they are still missing, and they would love to get them back. Listen to Scott Pollock from Everglades on ABC Radio, or get in touch on 02 4784 1938. Paint the Blue Read and Megalong Books are organising Reading Day 2011 in Leura on Thursday, September 1st. area. 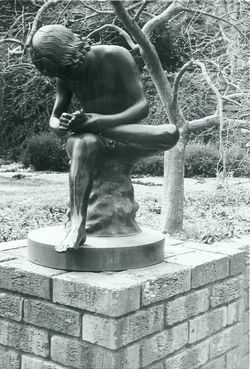 The first Annual Reading Day was in 2009. This involved community stakeholders from Glenbrook to Blackheath organising local businesses to open their doors to local pre-schools and read them picture books. The success of this day has confirmed the longevity of the program. Annual Reading Day in Leura Village was met with such enthusiasm from both the businesses and the children that it has been continued on a bi-monthly schedule. More details on this year’s Reading Day here. To welcome in Spring, Healthy Harvest Kitchen Gardens is very excited to announce our next workshop “Build Raised Beds Like the Professionals!” on Saturday 3rd September from 10am- 4pm here at Healthy Harvest HQ, Faulconbridge. Work side by side with Healthy Harvest’s own kitchen gardener and SPIN farmer Daniel Hatfield, and our special guest green expert Gordon Williams, Permaculture Design Consultant, educator and former carpenter! You’ll learn how to select the best site for your vegetable bed, set posts, measure and build raised beds that look great and last the distance. You’ll also find out how to build on slopes, which is a real challenge for many gardeners. Get practical experience with basic carpentry and power tools, ask your food-garden questions and most importantly, have fun while you learn! Entry is $5 and a light lunch will be provided. This workshop will be popular so bookings are essential! Please visit www.healthyharvest.com.au for bookings and more information. It’s been a wild and windy week in the upper mountains, and with power finally back on to nearly everybody, things are settling back to normal. 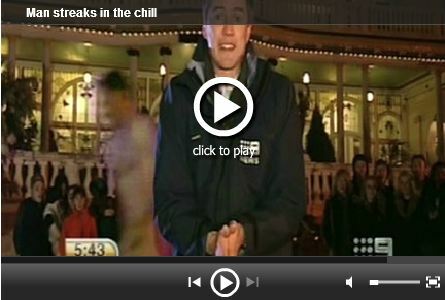 Despite the cold, a local has had a bit of fun with Channel Nine News, baring all for a streak behind TV weatherman Tim McMillan during a live broadcast at the Carrington. With temps hovering around zero, it wouldn’t have been a flattering look.